The DisneyParks Blog just posted photos from the grand opening of Grizzly Gulch, Hong Kong Disneyland's newest addition in their continuing effort to have a complete theme park. 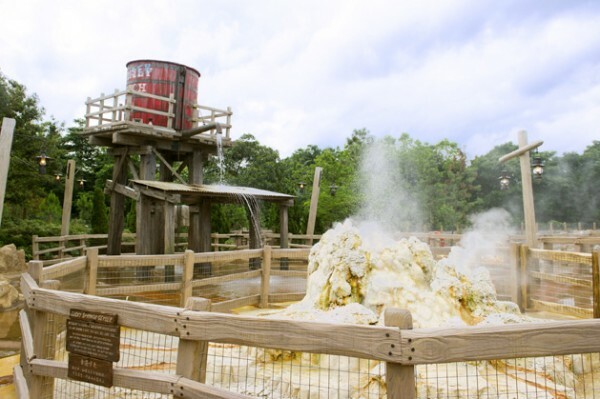 Unlike Mystic Point, which looks to be a relatively unique experience for a Disney park, Grizzly Gulch seems to follow existing Frontierland themes rather closely, though it's definitely an attractive area. The centerpiece of the land is the Big Grizzly Mountain Runaway Mine Cars, a mine train roller coaster that quite possibly has a name longer than the ride. 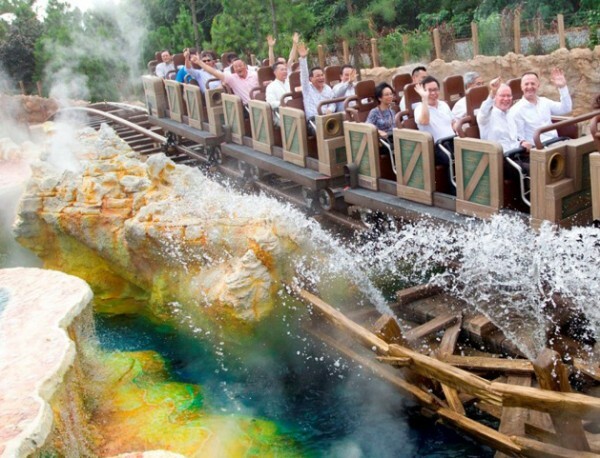 Disney describes the ride as "a thrilling adventure on a runaway train that goes forwards, backwards and crisscrosses in and around the entire area." 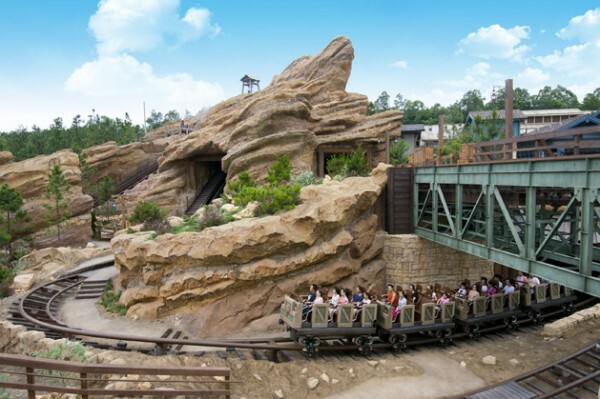 From the brief description and the pictures, it looks like the ride copies the style of California Adventure's Grizzly River Run, utilizes technology similar to Expedition Everest, but features a family friendly ride like Big Thunder Mountain Railroad. Definitely looks like a fun ride, but I wouldn't say it's even the best thing in this new addition. No, the best thing has to be this awesome board game based on the Runaway Mine Cars. Board games based on Disney rides pop up occasionally, but they're either themed editions of existing games, like the oxymoronic Haunted Mansion Game of Life, or based more on the movie than the ride itself, like the many products from the Pirates of the Caribbean franchise. 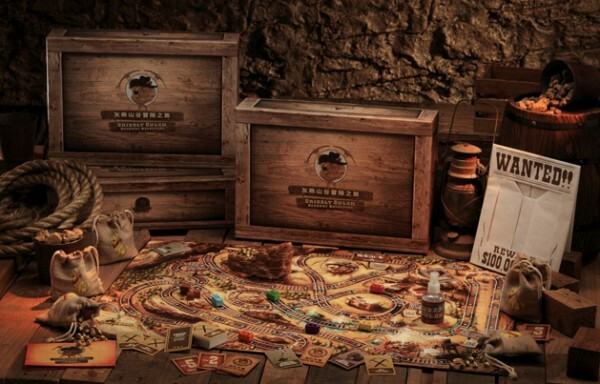 The Grizzly Gulch game looks like a unique product with lots of little details, attractive game pieces, and high quality props. This is the kind of board game that makes my inner child scream "I want it now!" This is the kind of product that Walt Disney World needs, and I hope we get to see a Big Thunder Mountain version someday. Otherwise, I might have to import one and start learning another language to play it.